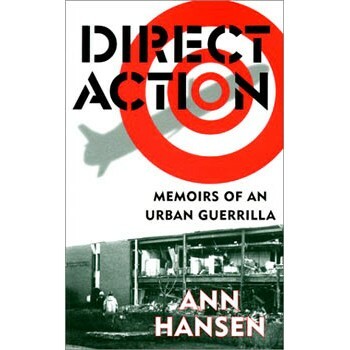 Ann Hansen and the rest of Direct Action, a Canadian anarchist urban Guerrilla group, were responsible for a campaign of dramatic actions in the early 80's. Direct Action captures the excitement and indignation of the counterculture of the early '80s. Missile tests were fuelling a new arms race. Reckless megaprojects threatened the global environment. Alienation, punk rock, and militancy were on the rise. Hansen and her fellow urban guerillas believed that sabotaging government and corporate property could help turn things around. To prove their point, they bombed the Litton Systems plant in Toronto, where components for Cruise Missiles were being made. Hansen's book poses unresolved ethical dilemmas. Now, finally, twenty years later, Ann Hansen, who served seven years for her involvement, tells the true gripping saga of an anarchist guerilla group.Now, after seven years in prison, Hansen tells her story for the first time. Her fast-paced narrative recreates the political context and culture of the period.